I really want to meet his hairdresser. No one else in the race makes me proud to be an American. Donald and Vladimir hit it off so well. But don’t vote for Donald until you see him shirtless – does he lift? I want to hear him say, “You’re fired!” when he wants to send his chief of staff or some other high official packing. I don’t want to be a loser. I want to be a winner. I want him to be a winner. He’ll have to put all of his business properties in trust, which may or may not cause a recession, but is certain to make the stock market go up. 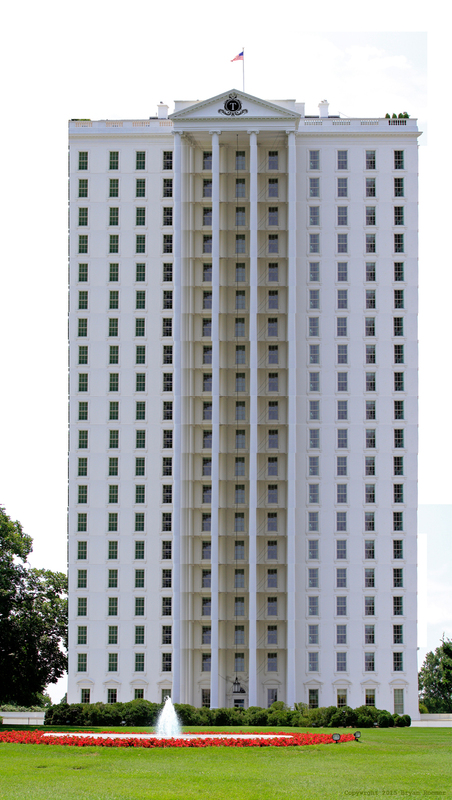 Every president gets to remodel the White House. I want to see TRUMP in big gold letters on the gate at 1600 Pennsylvania Avenue. Wouldn’t look bad on Air Force One either. He likes Mexicans. We don’t know that yet, because it’s a secret. He likes Muslims, too. If anyone finds that out, he would be have to leave the country. He’s going to get tough with the terrorists. Watch out, ISIS, Donald wants to punch your face. I trust him to do whatever he wants to do. He don’t take nothin’ from nobawdy. Robert de Niro for Secretary of State, or maybe Vice-President. Hillary for even one week in office would be far too long. We need an entertainer in the White House, now. Congress will roll over for the Donald like a puppy. Maybe he’ll give me a big tip if I vote for him. Or a tour of his penthouse. The rest of the world would take notice. Yes they would! Trump and the United States Treasury could set up joint checking accounts. Give the worst job in the world to someone who deserves it. If everyone else votes for him, I don’t want to be left out. I want to see what happens when he makes his insults part of our foreign policy.